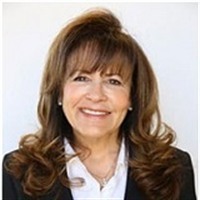 Susan E. Fields, Los Angeles Workers Compensation Attorney and Managing Partner at Koszdin, Fields, Sherry & Katz, has been recognized for showing dedication, leadership and excellence in law. Ms. Fields has 35 years of experience in the legal field, with 33 years as an attorney for Koszdin, Fields, Sherry & Katz, where she is a certified specialist in the area of workers' compensation law. Koszdin, Fields, Sherry & Katz is a law firm that has been representing injured workers since 1955 and presently practices in the areas of workers' compensation (workplace injuries and illnesses) and Social Security Disability (SSD). She attributes her success to her passion for representing the rights of injured workers. She became involved in her profession because she has always had an interest in law. She holds as Bachelor of Science in Political Science from California State University, Northridge and a Juris Doctor from the University of West Los Angeles School of Law. Recently, she was inducted into Worldwide Registry and also maintains affiliations with The State Bar of California, the California Applicants' Attorneys Association, and the Consumer Attorneys of Los Angeles. Since giving back to others is important to her, she also supports Project Angel Food and JDRF. In her spare time, she enjoys kickboxing. In five years, Ms. Fields intends to experience continued growth and success of the firm.